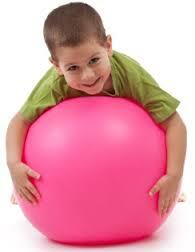 Personal Training and Sensory Integration - Energetic Juniors - Contact Us! Children and adults with sensory integration differences experience this world in way we may not always understand. As a parents, siblings, peers or clinicians it is our responsibility to learn how the individual interprets sensory input and understand why they may demonstrate behavioral or developmental differences. Development, which includes physical endurance and gross motor skills, is totally reliant on sensory processing and integration. In fact, our daily participation in any activity depends fully on the extent to which an individual is capable of “typical” or successful sensory integration for functional output. Some examples include the sensory demands required when an individual is interested in sports, dance, or improved playground participation. The child must first be able to process sensory input. The illustrations of this are endless: the child must visually see the ball and track it, integrate the balance and movement required through the vestibular system, listen and respond appropriately to auditory input like verbal cues or filtering background noise, sound as a spatial cue, and so on. If a child has trouble with sensory processing, they may benefit greatly from a trained therapist or even a highly skilled and well guided physical trainer. For instance, if the child is not developing the physical endurance required to play soccer, the trainer may be able to learn methods of endurance training that suit this particular child’s sensory needs. The Energetic Juniors (EJ) trainer is considered part of the team and thereby consults with the therapists (OT, PT, SLP) for suggestions and recommendations. A personal trainer may also be able to include sensations or sensory experiences that are difficult for a child, purposefully, in order to help the child habituate to this type of sensory input. While this process should be carefully addressed with the full therapeutic team, the EJ trainer could help a child get used to tactile input such as bumpy, squishy, or otherwise textured balls. They may work on getting used to feeling sweaty, swimming, or feeling grass under their feet in the park. When a careful and therapeutically designed plan is in place, and EJ trainer may carryover important sensory goals. Without attending to a child’s sensory differences or their specific sensory needs or accommodations, the child’s growth may be slower. However, when a child is offered fun, playful, and safe opportunities for sensory exploration they may develop physical skills more quickly because they’d be better able to engage with the sensory environment inherent in the physical training context. Therefore, physical training with a highly skilled and well informed trainer can be very helpful. Children may also benefit from physical training for the purpose of carryover and faster development in sports, Karate, and childhood activities such as playing tag. Improving one’s sensory integration is a life long journey and one in which all team members can help. Understanding that sensory integration impacts one’s physical development is key to making the gains we all hope to see in children with special needs.